Autodesk BIM360 is a suite of web-based applications built for the management of construction projects. BIM360 SCHEDULE is the CPM (Critical Path Method) scheduling application within that product family. In one year deliver a fully functional web-based scheduling application that can support the scheduling needs of a mid sized construction project. Deliver a user experience that exceeds the UX of competing construction scheduling applications - Primavera P6, Microsoft Project, Vico, Asta Powerproject, etc. 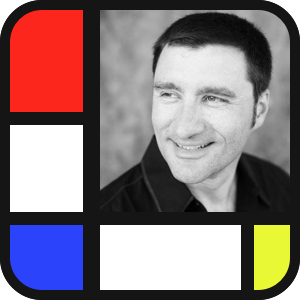 Deliver a product that is intuitive and easy to use. 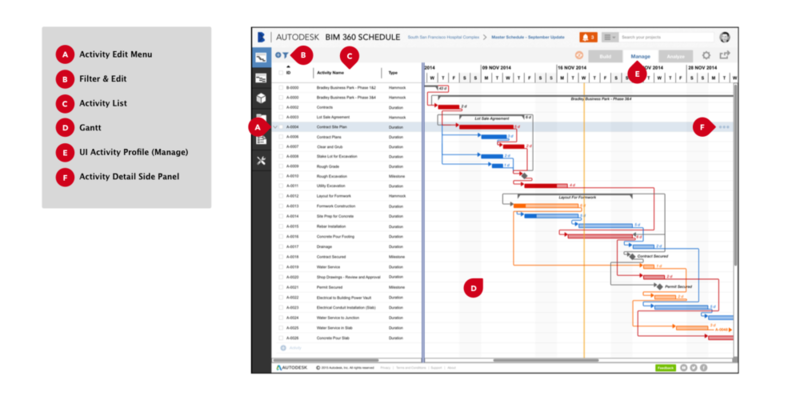 Any person on the project team should be able to build, manage and analyze a construction schedule using BIM360 Schedule. Data and workflows can span several applications in the BIM360 suite so it is critical the user experience in BIM360 Schedule be consistent with the rest of the BIM360 line of products. Construction Project Data is tagged with attributes to define characteristics like activity location and task responsibility. Many of these attributes are project specific. As a result, when preparing to manage a project construction managers and schedulers create hierarchies to tag project data. The goal of this project was to create an interface to enable the creation and management of tree structures which could be used for Location (LBS) and Work Breakdown (WBS) structures. The screens were then imported into Invision and linked to create an interactive prototype. *Note: Within the prototype, click anywhere on the screen to see the navigation hints. It is often necessary to incorporate construction schedule data into construction management workflows. BIM360 Schedule will provide the ability to Print, Export and Share schedule data. Printing - Print a schedule to hang on a wall to share with a group in a job site trailer or print in a smaller format for hard copy portability. Sharing - The contractor is legally responsible to periodically send copies of the construction shedule to the owner or owner's representative. Export - Take data authored / calculated inside of the BIM360 Schedule application and make it available to other BIM360 applications or document repositories.